Audience: For experience level 2 technicians wishing to progress within the IRATA scheme. IRATA Level 3 rope access training will enable you to be capable of site supervision for rope access work projects. To demonstrate advanced rescue and rigging techniques along with knowledge of relevant legislation, work techniques and equipment use and limitations. 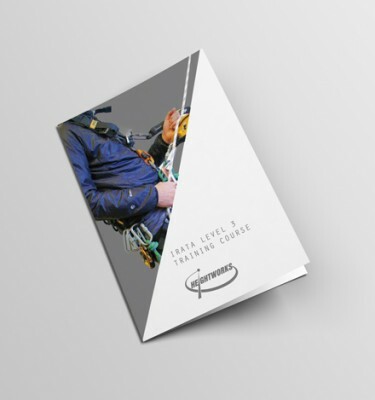 Theoretical knowledge of rope access with regard to safe use of equipment, legislation and techniques. This will include a sound knowledge of the IRATA code of practice, risk assessments, method statements and worksite organisation. Theoretical knowledge and practical application of rigging techniques and appropriate. Safely and efficiently carrying out a range of rope access manoeuvres. Climbing on structures using work positioning and fall arrest techniques. A range of rescues including both abseil and hauling techniques. Advanced rescue and team exercises. Course Instructor: The course is run by renowned IRATA level 3T trainers with vast experience of running courses worldwide. Pre-training requirements: IRATA Level 2 with a minimum of 1000 logged hours and 12 months experience, Medical Questionnaire, First Aid Certificate. Assessment: The course is assessed on day six by an independent IRATA assessor. 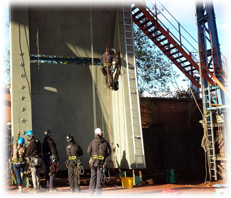 Course Dates: IRATA Level 3 Courses are run on a weekly basis at our purpose built facility in Wolverhampton. Please phone 01902 425677 for information and booking. It promotes high standards and practices within the rope access industry. It is dedicated to the protection of individuals working within rope access, and is continually promoting advancements in education and training in all aspects of rope access. © 2019 Work At Height Training and Equipment | Rope Access Training| IRATA Training Courses | Midlands Premier Work At Height Training Company.